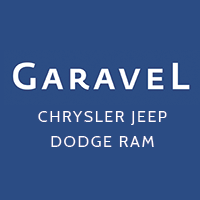 For Norwalk families on the hunt for a safe, feature-filled minivan, there are few choices that compare to the new Chrysler Pacifica now for sale at Garavel CJDR. Named “Highest in Initial Quality” by J.D. Power and Associates, the Pacifica is more than just affordable; it’s reliable as well – delivering the perfect balance of luxury and peace of mind that our Greenwich neighbors deserve. It even costs less than the Toyota Sienna. Explore our inventory here, then keep reading to see why more drivers are choosing this Consumer’s Digest “Best Buy” than ever before. Get behind the wheel of a new Chrysler Pacifica van and see why the experts are calling this a “Top Choice” for savvy car buyers. Contact an associate to schedule a test drive and learn about the affordable finance options available.